The Tennis NSW SHEroes program aimed at getting more female volunteers onto the tennis court, and inspiring the next generation of players. Tennis NSW have teamed up with legendary coach Judy Murray as the head ‘SHEroe’. Judy provides exclusive tips, tricks and drills to our group of SHEroes Ambassadors on how to develop the participation base and volunteer workforce in their local communities. Our SHEroes Ambassadors meet several times a year to share ideas, gain insights from industry leaders on relevant topics and engage socially with one another. Our SHEroes group have online sharing networks to share ideas from their part of the state and to get advice from their fellow SHEroes. Who are the SHEroes Ambassadors? 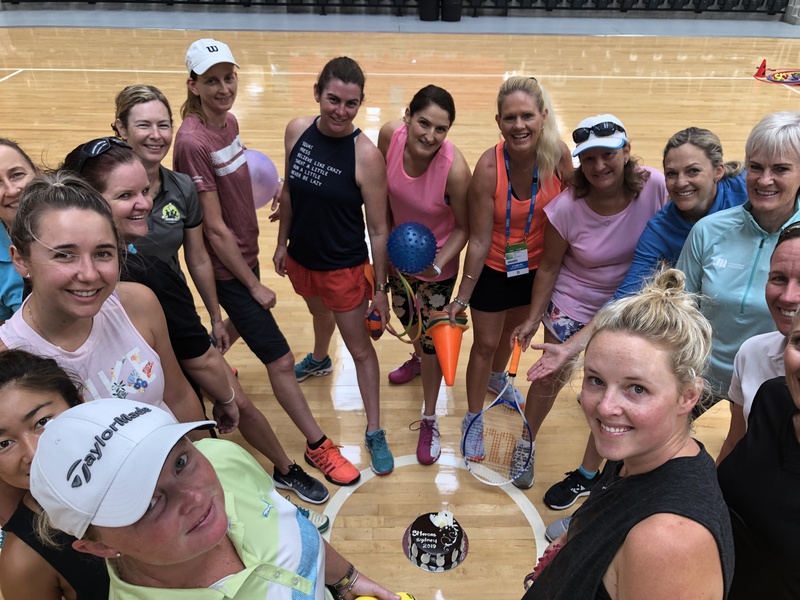 The SHEroes Ambassadors are women from all across the state, metro and regional, who are enthusiastic and motivated to assist with growing the volunteer workforce in tennis throughout NSW. Some of the Ambassadors include mothers, coaches, teachers, aspiring coaches, women who want to get involved in tennis but are not comfortable playing. Any female tennis volunteer or aspiring volunteer can become involved with the program. If you would like to express your interest in the SHEroes program please send your contact information to our Tennis NSW staff members listed at the bottom of this page. Volunteering, particularly in sport, can provide you personal meaning, improve your health and wellbeing, empower you to actively engage with your community, build friendships and network and provide overall personal satisfaction. The tennis community in NSW is full of passionate people, making it a great avenue for you to engage with volunteering.